Google Pixel 3a and Pixel 3a XL to Debut on May 7 - Playfuldroid! Google will be holding the Google I/O 2019 event between May 7 and May 10 this year. 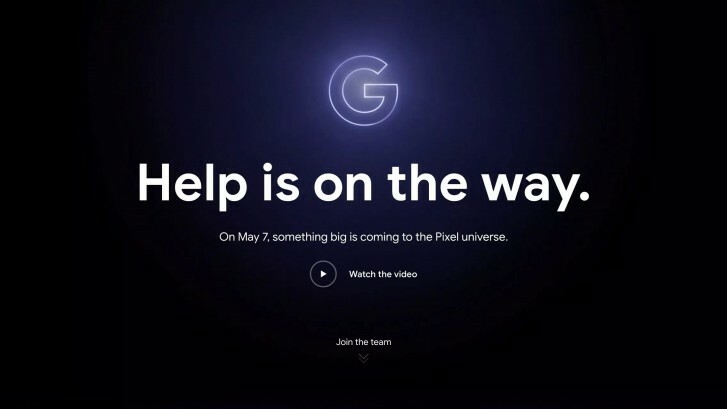 The search engine giant has added a page that reveals that it will be announcing new Pixel phones on May 7. The new page also promotes the forthcoming Avengers: Endgame movie. The teaser reads that “something big is coming to Pixel universe” on May 7. While the company has not confirmed what it will be announcing on the said date, it is speculated that the Pixel 3a and 3a XL phones may go official on the said date. Recent reports have revealed that the Google Pixel 3a phone will be arriving with a 5.6-inch OLED display whereas the Pixel 3a will be a larger device with a 6-inch OLED panel. These phones will carry support for full HD+ resolution. The Snapdragon 670 SoC may power both phones. However, contradictory rumors claim that the Pixel 3a XL may feature Snapdragon 710 SoC. The SoC on both phones will be supported by 4 GB of RAM. The Pixel 3a will have a 3,000mAh battery, but the battery size of the Pixel 3a XL is not known yet. A rear-mounted fingerprint scanner will be available on the Pixel 3a and 3a XL smartphones. Also, the two phones are expected to borrow 13-megapixel rear snapper from Pixel 3 series. For capturing selfies, the 3a and 3a XL phones will have an 8-megapixel front-facing camera.